The Dunes condo for sale in Gulf Shores AL. Beautiful resort property with upgraded cabinets and granite counter-tops! Come check this one out. Located near the community pool on the second floor. Popular condominium on the Alabama Gulf Coast, ideal as a rental property and/or a second home. 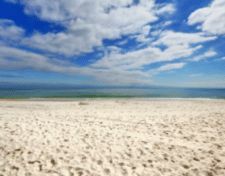 The Dunes condos in Gulf Shores provide a tranquil environment on the Fort Morgan Peninsula. If you’re in search of a resort property that offers peace & quiet with easy access to Gulf Shores dinning, shopping and entertainment, this condominium complex fits the bill. This community is approximately 1 mile from Fort Morgan State Historic site and the Mobile Bay Ferry, which transports passengers and cars between Fort Morgan and Dauphin Island. The post The Dunes Condo For Sale, Gulf Shores AL appeared first on USBeaches.net.